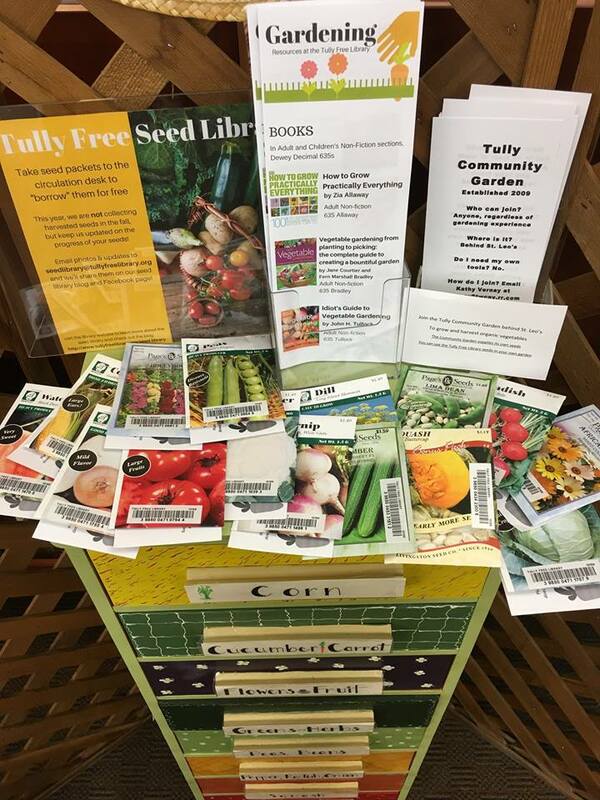 The Tully Free Seed Library is open for the 2019 season! Thanks to Baker Creek Heirloom Seeds and East Snyder Community Garden for donating veggie, flower and fruit seeds, and a BIG thanks to community member Manny Lanseros for his giant Russian Sunflower seeds! Check out our SEED LIBRARY BLOG to see how the seeds are progressing in your neighbors' gardens!